The Studio for Southern California History (Studio) has announced the recognition of Kayoko Wakita for her contributions to Southern California history, and the awarding of a lifetime membership by the Girl Scouts of the USA at Studio Director Sharon Sekhon’s recommendation. On Monday, Dec. 10, from 3 to 4 p.m., an intimate ceremony will be held followed by a light reception in the Multipurpose Room at Los Angeles City College (LACC). These acknowledgments come as Wakita celebrates her 90th birthday later in the month. The Studio is pleased that LACC will host the ceremony; Wakita taught Asian American Studies, East Asian Studies and Music Appreciation of China, Japan, and Korea at LACC for 40 years. Girls Scouts is pleased to be able to finally grant her wish to become a Girl Scout. Wakita was born on Sunset Boulevard on Dec. 19, 1928, at what was then a boarding house. 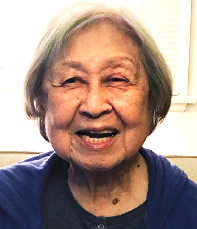 Her parents were lifelong teachers, musicians, and restaurateurs, including restaurants in Little Tokyo and in Fullerton in Orange County. The Wakita family taught the art of koto and shakuhachi while living in Little Tokyo, and later moved to Fullerton and opened the Mah Jong Restaurant, which specialized in Chinese food, in the 1930s. In 1942, Wakita was 13 years old and in the process of becoming a Girl Scout when she and her family were sent to Manzanar after President Franklin Roosevelt issued Executive Order 9066, calling for the imprisonment of people of Japanese ancestry for the duration of World War II. While in Manzanar, Wakita’s parents continued teaching music and literature to their three children. She learned the koto under the tutelage of her mother, who had managed to bring two of the instruments with them. Following the family’s release at the end of the war, they returned to Los Angeles, where Wakita continued her studies. She was never able to become a Girl Scout. She earned her Bachelor of Arts in Asian Studies at the University of Southern California and her Masters in Music from California State University Los Angeles, where her thesis was on the koto. Event location: Multipurpose Room, Los Angeles City College, 855 N. Vermont Ave., Los Angeles. For a campus map, visit https://www.lacitycollege.edu/. RSVP to Sharon Sekhon at [email protected] or (213) 590-6007. The Studio for Southern California History is a nonprofit organization dedicated to critically chronicling and sharing the region’s social history in order to foster sense of place. Its portfolio of work is available online at www.lahistoryarchive.org/.